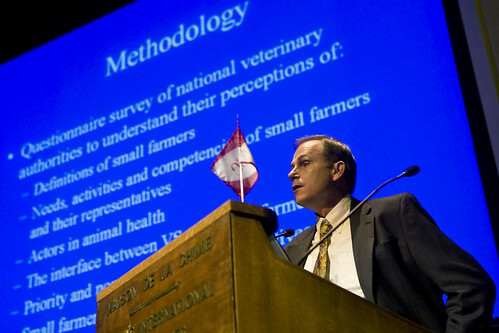 The recent announcement by the global scientific community of what is expected to be a successful worldwide eradication of rinderpest is providing a renewed drive to African animal health researchers to focus on ways of controlling its cousin, peste des petits ruminants, a similar disease that is increasingly threatening Africa’s small ruminant populations. African veterinary service leaders and animal health workers last week (17 November 2010) adopted a new strategy for managing this viral disease of sheep and goats following an emergency meeting in Nairobi called to find ways to best tackle the threat of the disease. A strategy for controlling the disease will be rolled out in coming months to, among other aims, help prevent the spread of the disease into southern Africa following recent confirmation of its spread into southern Tanzania. Participants at the one-day meeting discussed a ‘Pan-African strategy for the progressive control of peste des petits ruminants’, which has been jointly developed by the African Union-Interafrican Bureau for Animal Resources (AU-IBAR) and the International Livestock Research Institute (ILRI). Representatives of the Inter-Governmental Authority on Development, chief veterinary officers from Burundi, Democratic Republic of Congo, Ethiopia, Kenya, Malawi, Somalia, Southern Sudan, Sudan, Tanzania, Uganda and Zambia, as well as representatives of national animal research centres from the region, attended the meeting. The meeting sought to harmonize on-going control efforts in a shared strategy under the continental umbrella of AU-IBAR that would enable implementation of a ‘coordinated approach’ of dealing with this disease of small stock across Africa. ‘Peste des petits ruminants is causing significant economic impact on Africa’s people by constraining the livelihoods and endangering the food security of the poor and marginalized members of society, who rely on small ruminants for food and income; we are concerned about stopping its further spread southwards,’ said Ahmed El-Sawalhy, director of AU-IBAR. Also known as ‘small ruminant plague’, this disease has killed great numbers of sheep and goats in Africa since it was first reported in West Africa in 1942. Since then, the disease has spread from localized areas to affect most of western and eastern Africa, and is now threatening herds in the southern areas of the continent. Recent major outbreaks of the disease in Kenya, Tanzania and Uganda have killed millions of small stock, hurting the livelihoods of farmers. The disease has also been reported in Morocco, from where it threatens southern Europe, the Middle East, South Asia and China. 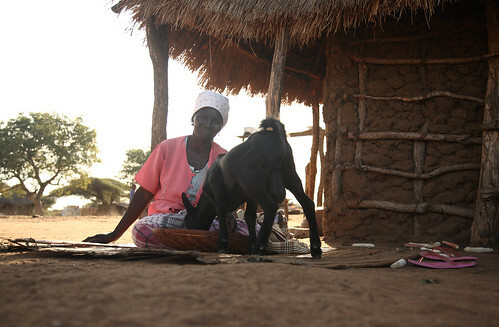 Small ruminants are ready sources of food and cash for women and disadvantaged households and are an important means of rebuilding herds after environmental and political shocks, especially in herding communities. Unless coordinated action is taken to control the spread of the disease, small ruminant plague is likely to spread to most of Africa, bringing with it untold losses of livestock and endangering the livelihoods of millions of African farmers and herders. ‘We are looking for a regional approach to deal with this plague and right now we are working with 13 countries that are either affected by the disease or are located in high-risk areas. We also want to mobilize resources to support the tools we already have in order to maintain the momentum that has resulted from the eradication of rinderpest,’ said El-Sawalhy. 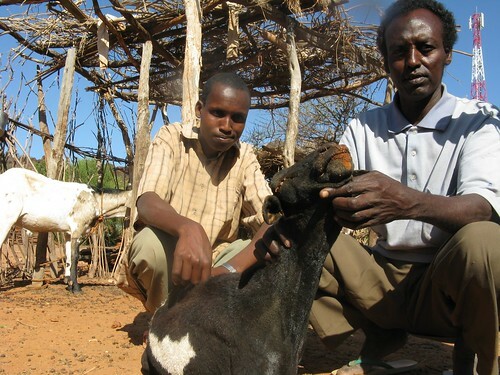 Already, there are on-going initiatives in countries where the disease is confirmed–supported by AU-IBAR, national governments and other partners–that are helping to deal with the impacts of small ruminant plague and support affected livestock herders. 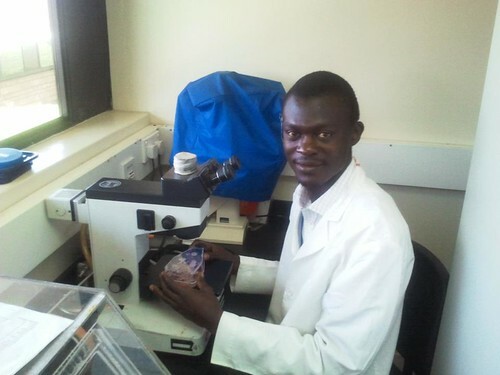 The new strategy seeks to consolidate these efforts into a harmonized AU-IBAR-led effort that will ensure standardized approaches are used to control the disease in affected countries and to prevent its spread to new areas. AU-IBAR is encouraging the setting up of emergency measures for dealing with the disease’s spread in southern Africa. These measures include working with national governments and research institutions to map out high-risk areas in countries such as Malawi, Mozambique and Zambia that border areas affected by the latest outbreaks, providing adequate vaccine stocks and making contingency funds available for targeted emergency vaccinations. 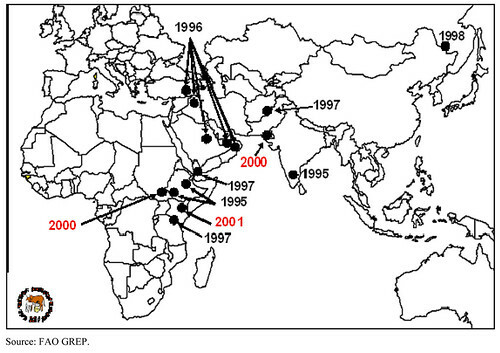 In the long-term, this new strategy seeks to eradicate small ruminant plague from Africa. 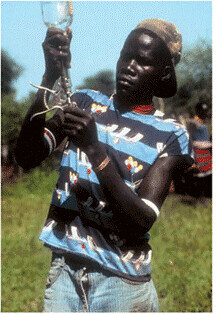 An ILRI-hosted and managed Biosciences eastern and central Africa (BecA) Hub is currently implementing a project, funded by the Australian Commonwealth, Scientific, Industrial and Research Organisation, to develop a standardized thermostable vaccine against this plague that incorporates the vaccine strain already used to vaccinate against the disease in Africa. ‘The existing technical tools and animal health systems provide a solid foundation for initiating progressive control operations of this disease of small ruminants,’ said Dickens Chibeu, the acting chief animal health officer at AU-IBAR who also chaired the meeting. ‘Coordinated long-term action will add value to already on-going interventions that are helping to limit the immediate impact of the disease,’ he said. AU-IBAR and ILRI are hoping to garner international donor support of national governments and research institutions for a well-coordinated effort that will support current initiatives by national governments in affected countries. ‘We are encouraging countries in southern Africa to initiate surveillance for the disease and to ensure preparedness in case of outbreaks. On our part, we are working to ensure the availability of emergency vaccine stocks as we bring together all partners involved and affected by this disease in a continent-wide strategy that will ensure we use the same strategy,’ said Dr.Chibeu.